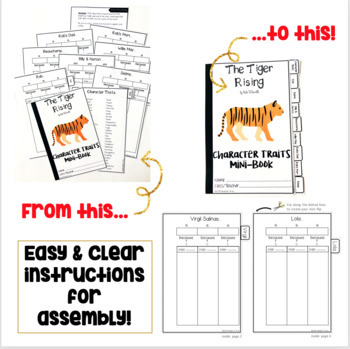 I love graphic organizers because they help students conceptualize complex literary concepts, like character analysis. 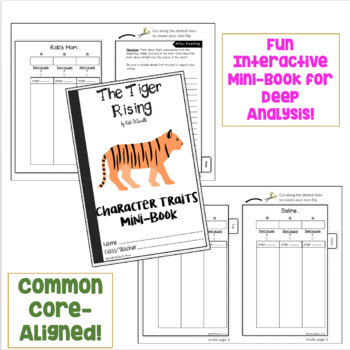 This Common Core-aligned INTERACTIVE MINI-BOOK asks students to go deeper into understanding seven of the characters in the novel The Tiger Rising by Kate DiCamillo: Rob; Sistine; Billy and Norton; Beauchamp; Willie May; Rob’s Dad; Rob’s Mom. Students analyze each character, choose three traits to describe him/her, and provide text evidence to support each trait. 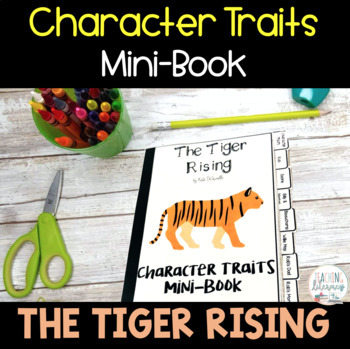 A “Character Traits” list is included for student reference. The final page of the mini-book is a post-reading essay. 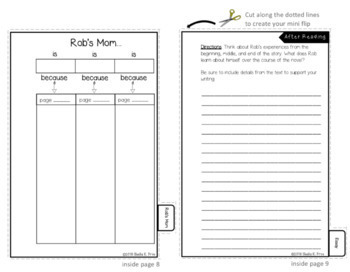 Here, students explain what Rob learned about himself over the course of the novel.